I’m part of a group for parents of kids with Sensory Processing Disorder (SPD). In that group the parents often ask for tips for flying with their child. Although my daughter Ella was only recently diagnosed with SPD, I always knew she needed a little extra assistance coping when her senses were overwhelmed (or under stimulated, as she actually needs MORE sensory input in many cases). Many, if not most people with autism have sensory processing disorder, but it can also exist without the autism diagnosis, as it does for Ella. Sensory Processing Disorder, in a nutshell, is when a person doesn’t process information from their senses the same as a typical person. They often feel imbalanced and have difficulty coping with additional sensory input, not only in our commonly-known five senses (sight, sound, taste, hearing, touch), but also sensing movement (proprioceptive) and where you are in your surroundings (vestibular) . A person with SPD can have an aversion to different types of sensory input, like when clothing tags or shoes are intolerable, or they can have a craving for sensory input, like needing to spin or constantly humming. Sometimes a person with SPD becomes so overwhelmed they are simply unable to cope with the surroundings and they may act out. Meltdowns, sometimes including screaming and possibly flailing or punching, crawling under the seats, or running might be the result. Parents want to know every tool they can use to make the flight go well. For parents of children with SPD, the added stress of wondering if your child will have a meltdown in flight makes parents more worried. It doesn’t help that there have been several incidents recently where families were kicked off the plane, allegedly because of an “out of control” child. (You can read about that in this response from Autistic Globetrotting, a great resource for traveling with Autism.) I usually tell people to let the flight crew know about their child’s sensory issues at the beginning of the flight, but I wanted to hear from other flight attendants to see if they agreed on that advice. If a family came on board with a child who had autism or “sensory issues”, would you, as flight crew, prefer they let you know in advance about the child’s issues, or would it seem to you like they were looking for attention or special treatment? If the child was prone to meltdowns, would it help you to know there was a neurological reason behind it? The answer overwhelmingly came back: I would want to know. “Always good to be informed…It’s nothing to be ashamed of or worried about hiding and [it] only leads to further understanding.” –Melian S.
“Travel is stressful enough, I’d like to offer any help I can to the parents.” –Megan B. “Being aware can prevent many safety related issues from happening. It’s never wrong to be over informed.” –Ben-Lee F.
“[Let us know] ahead of time so that the crew could assist and overlook any behavioral issues they may have. Some people, [even] Flight Attendants can be cruel without thinking.” –Christine G.
“I’d rather know than not know and then do or say the wrong thing if the child acted out.” –Heather P.
So yes, if your child has unique needs and might have an outburst in flight, it is best to let the flight attendants know at the beginning of the flight. When is the best time for this? During boarding is best so that they will be informed before anything might occur. Yes, this is one of the most busy times for a flight attendant, but we don’t mind you giving us important information during this time. If you try to talk to a flight attendant and they are too busy and push you aside, try again in a few minutes or when the next flight attendant walks by. Another way you could identify yourself is by letting the gate agent know and asking him/her to pass the information along to the flight attendants. This way the flight attendants can come to you as they have time during boarding to ask how they can best assist you if your child has a meltdown. Many airports now have programs for those with autism. There are at least 16 U.S. airports that now participate in this program. They include “practice flights” and self-identification methods so the airport employees can understand and respond appropriately if your child is having difficulty. You can read about the latest program implemented at LAX airport here. 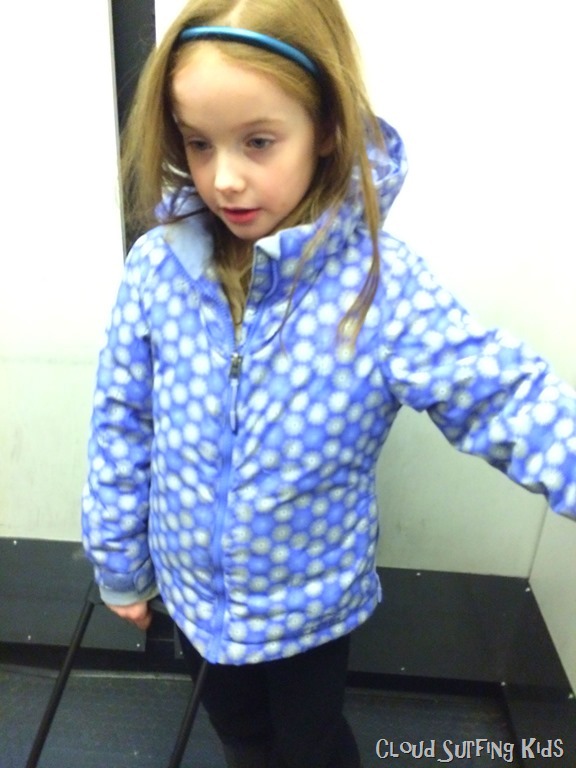 You might also be interested in this post: Flying With Autism. Do you have questions about flying with autism or sensory processing disorder? Ask in the comments below. Are you following us on social media? I post travel tips, blog posts, pictures and more on Facebook, Twitter, and Instagram. We’d love it if you follow and share! Happy Cloud Surfing!